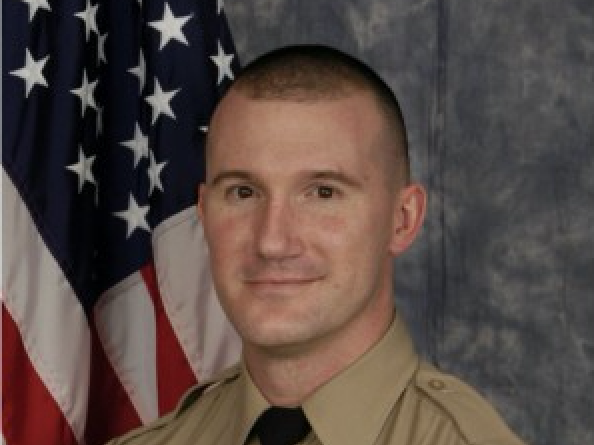 A Loudoun County Sheriff’s Office Deputy was charged with felony animal cruelty following an internal investigation of the death of his pet dog, the agency announced today. Deputy Dustin W. Moon, 37, surrendered to authorities in Warren County after the charge was filed June 9. The 11-year Sheriff’s Office veteran most recently was assigned to the Emergency Communications Center. The dog’s death came to light in May, during an internal investigation into an unrelated administrative violation. During the investigation, it was learned Moon killed his pet dog sometime between February and March and discarded the remains in a dumpster, according to the Sheriff’s Office. Moon was released on a $3,000 unsecured bond and was placed on paid administrative leave pending personnel action. Last June, Moon was one of two deputies who earned public accolades from Sheriff Mike Chapman for helping to save the life of a suicidal man in Cascades.